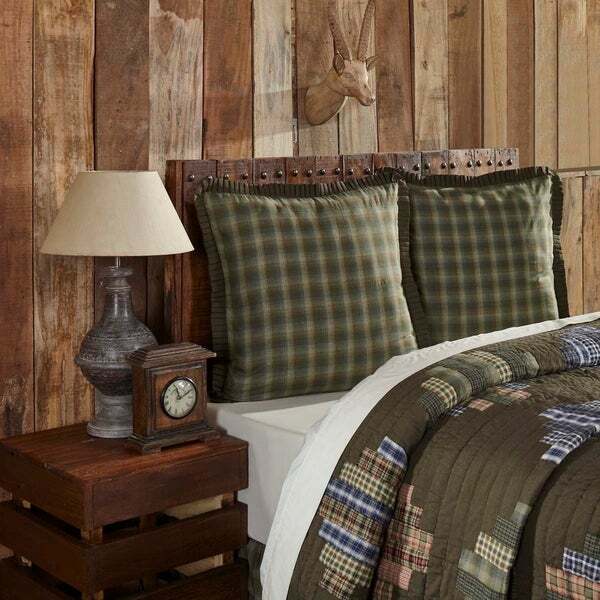 The Seneca Fabric Euro Sham features green and brown plaid that coordinates with the quilt. Brown and black chambray is woven into the pleated ruffle trim and into the reverse. The brown and black chambray may appear to have a green tint due to its dark color and appearing next to green plaids. 100% cotton.